CEW: Why is CEW membership important to you? 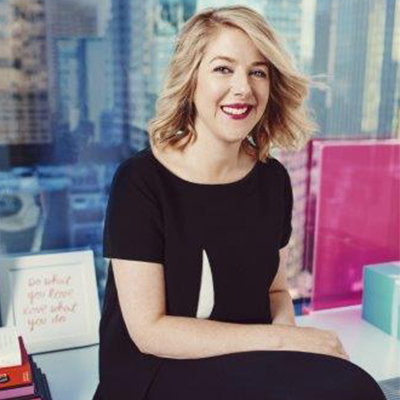 Kristen Comings: I think now more than ever it’s important for women in our industry to learn from and support one another and CEW provides the perfect platform for us. CEW: What is the most exciting aspect about your current role? KC: I recently joined IT Cosmetics after having spent over a decade on the L’Oréal Paris brand. In my current role, I oversee our video strategy, social and communications for the IT Cosmetics brand globally. This is my first global role and I’m really enjoying collaborating with our global teams to launch this brand all over the world. KC: I would say it was a mixture of mentorship, sponsorship, collaboration, hard work, organization and showing up as my authentic self in the workplace. KC: CEW has excellent programming which is relevant whether you’re just starting out in the beauty business or are a seasoned professional. There’s a lot of value in the content and simply being around other amazing women in this business that we all love so much. I think it’s important to prioritize taking time to get inspired by others and giving back by sharing what you’ve learned along the way.